This stage of Rhodes Central has sold out. Please contact us or go to the website to find out about other stages within this development that are now selling. Billbergia is introducing Rhodes Central – commanding the finest position on the peninsula, seamlessly linked to the Rhodes railway station, the development marks a new chapter in urban waterside living. Across the new residential and retail precinct, Rhodes Central captures this flourishing waterside suburb’s spirit of the place. It marks Rhodes’ stellar rise as a residential suburb of choice in Sydney. Rhodes Central creates a whole new urban experience where engaging residential buildings respond to views and aspect while lively pedestrian realms nurture a new community hub below. Strategically positioned between Sydney and Parramatta CBDs, the area ranks as Sydney’s seventh largest local economy. Both Sydney Olympic Park and Rhodes are also business and employment hubs, home to large organisations such as Hewlett –Packard, Unisys, Nestle, Samsung, NAB, and Commonwealth Bank to name a few. A series of multi-layered public spaces welcome you into the heart of the development. 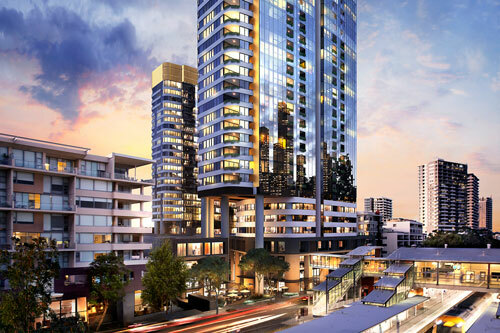 An active central plaza, intimate laneways and podium retail host chic open-air dining, upmarket stores, a major supermarket and a wide range of provedores alongside outdoor seating, bike paths and public art.